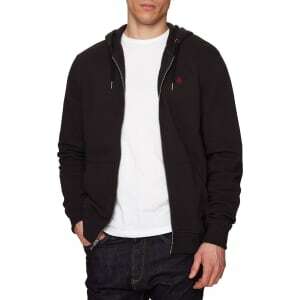 Original Penguin Raised Rib Pique Hooded Sweatshirt, True Black from John Lewis & Partners. d and a full front zip fastening. Rounded off with the signature penguin logo at the upper left chest, this is the perfect top to throw on as the sun dips down over the horizon.